For most people, having to do laundry is no laughing matter. But, why not have a bit of fun and tell a joke or turn a clever phrase into a pun to make laundry chores more enjoyable? 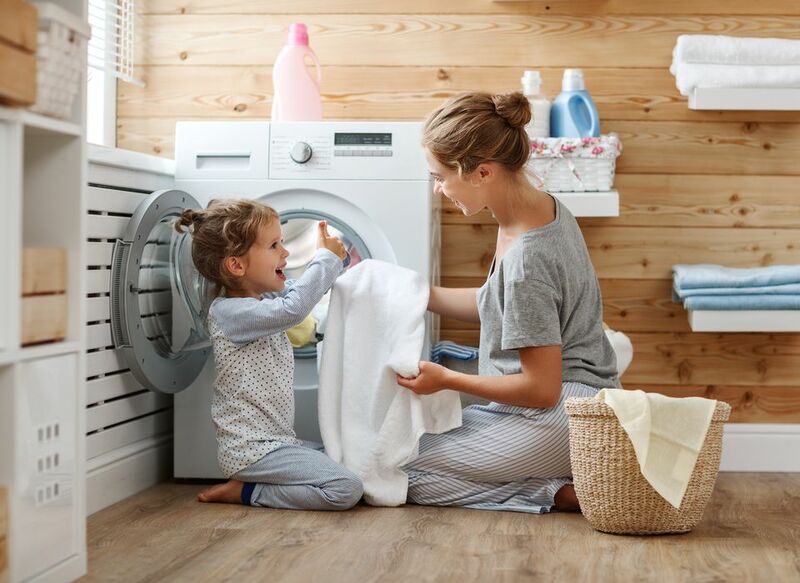 Kids love a good joke and perhaps you can use some of this humor as a way to lure them into the laundry room and teach them how to do laundry while you're there! Q: What did the first sock say to the second sock in the dryer? Q: Why don't men do laundry? A: Because the washer and dryer don't run on remote control. Q: Why can't the comedian tell a dirty laundry joke? A: It always comes out clean! Q. Don't you get tired and feel like throwing in the towel sometimes? A. No, that only means more laundry to do. The next morning while they are eating breakfast, the young woman sees her neighbor hanging her laundry outside. Every time her neighbor would hang her laundry to dry, the young woman would make the same comments. Clothes Dryer: A household appliance designed to eat socks. Clothes the window and open this door!